All eyes were on the beautiful Selena Gomez at the 2014 Teen Choice Awards when the petite brunette accepted the "Ultimate Choice Award" in Los Angeles last night. What caught my attention the most, aside from her fly Saint Laurent Tuxedo Jumpsuit, was her flawless hair styled by Lona Vigi. To start, Vigi misted Selena's hair with an Evian atomizer in order to prep her hair and keep it in the cleanest condition. 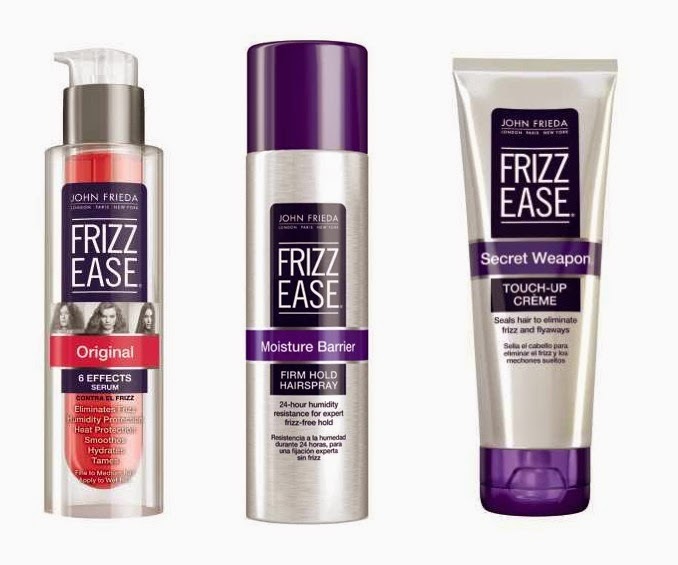 Next, she applied a dime sized amount of the John Frieda Frizz Ease Original Six Effects Serum into her hands, and rubbed them together before going into Selena's hair, starting at the roots and pulling all the way to the ends. "This serum is like a BB Cream for the hair," said Vigi. "It covers so many vital bases that you end up using multiple products for, instead you can cut all of that out of the equation and just have this one master product." In the front, Vigi sprayed John Frieda Frizz Ease Moisture Barrier Firm Hold Hairspray while the hair was still damp in order to keep all the little baby hairs around the frame of the face tamed down. Then, while blowing drying on a medium heat with the Harry Josh Pro Tools Dryer, Vigi sprayed the hair continuously to ensure the hair stayed back into the ponytail. Next Vigi clipped the hair up and took super small sections and went over them with a flat iron, getting as close to the scalp as possible. Vigi created a center part and then gathered Selena's hair by the nape of her neck to create the ponytail. Once it was secure, she patted John Frieda Frizz Ease Secret Weapon Touch-Up Creme into the ponytail so that it looked extra strong and shiny. "We wanted the ponytail to be the accessory to her look," said Vigi. As a final touch, Lona secured the ponytail with a long, black ribbon.